The focus over the next 12 months will be to maintain the school’s strengths in coaches and sport events and to take elements from the Sainsbury’s scheme and the Childhood Obesity Plan about getting children active and ensuring sports are inclusive and engaging. Guidelines from the Government’s expectation of how Sport Premium should be spent form the subsections below. Today nearly a third of children aged 2 to 15 are overweight or obese. Every primary school child should getat least 60 minutes of moderate to vigorous physical activity a day. At least 30 minutes should be delivered in school every day through active break times, PE, extra-curricular clubs, active lessons, or other sport and physical activity events, with the remaining 30 minutes supported by parents and carers outside of school time. This will set out how schools can work with the school nurses, health centres, healthy weight teams in local authorities and other resources, to help children develop a healthier lifestyle. Sainsbury’s School Games Mark contains various points about engaging the inactive population amongst the children and increasing elements engaging SEN children. For the academic year 2018/2019 our Sport Premium Grant Allocation is approximately £18,500. Children should master fundamental movement skills and be increasingly competent and confident and access a broad range of opportunities to extend their agility, balance and coordination, individually and with others. They should be able to engage in competitive (both against self and against others) and co-operative physical activities, in a range of increasingly challenging situations. Children should master basic movements including running, jumping, throwing and catching, as well as developing balance, agility and co-ordination, and begin to apply these in a range of activities. Children should have the opportunity to participate in team games, developing simple tactics for attacking and defending / perform dances using simple movement patterns. Pupils should be taught to: use running, jumping, throwing and catching in isolation and in combination, play competitive games, modified where appropriate [for example, badminton, basketball, cricket, football, hockey, netball, rounders and tennis], and apply basic principles suitable for attacking and defending, develop flexibility, strength, technique, control and balance [for example, through athletics and gymnastics], perform dances using a range of movement patterns, take part in outdoor and adventurous activity challenges both individually and within a team, compare their performances with previous ones and demonstrate improvement to achieve their personal best. Promote active lifestyle with P.E. lesson to be pure cardio based every half term. – All school teaching staff. School will commit to active cardio activities in a circuit style format to increase stamina in addition to the regular 5/10 minute weekly warm ups at the start of every P.E. lesson. The aim is to ensure that children finish the week in an active way having fun and take that mentality home. For 30/40 minutes get their pulses raised and have some fun. Promoting an active and healthy lifestyle. Improve fitness through raised heart rates and activity with all abilities and ages. Equipment (nets, poles, crash mats, playground). Further investment in sport specific equipment to improve PE and competition preparation and support new coaches. – P.E. Coordinator to order with General Office team. Staff to use. Audit of PE equipment, what items need upgrading, what items are hindering teachers’ abilities to teach effective PE lessons. Use Sport Premium funding to increase the active element of the playground; floor painted activities, active game play and reduce sedentary space. Playground buddies trained. Ensure children have the equipment to engage in sports. Ensure coaches have the equipment to teach with. Support the Government aim to have additional activity time during the school day for all primary school children. (30 minutes a day). Improved playtime behaviour, allow children to develop skills during other times of the day and play together. Encourage children to be active; reduce the space provided for sedentary activities on the yard. PROFILE OF PE AND SPORT IS RAISED, AS A TOOL FOR WHOLE SCHOOL IMPROVEMENT. Outdoor learning opportunities (EYFS focussed) Cross curricular links through forest school activities, practical equipment to be purchased (outdoor clothing) for children to be able to explore the school grounds. This has been a focus of the school through weekly gardening club activities to make the most of the natural environment within our grounds. Children to explore and experience an increased amount of outdoor learning. Links to the gardening club within school and legacy of pupil engagement with the world around them. School Sport Council School Sports Council engaged to run questionnaires and surveys around school on wants and needs of children. Focus on girls’ sports activities. Surveys repeated Winter / Spring / Summer. Involve pupils with decision making. Fitness Champions to support playtimes, SEND sports and in P.E. lessons. Change and adapt directly to pupils’ wants and needs. Survey the impact regularly and take feedback on coaches and successes. Increased frequency of PE website entries Teachers to upload PE entry each half term that discusses the skills the children have been taught. Website post to be tagged under the PE page to celebrate the skills being developed and not just the competitions children enter. Shares the variety of skills being taught. Involves parents and the community about the need for daily exercise. Raise awareness and accountability. BROADER EXPERIENCE OF A RANGE OF SPORTS AND ACTIVITIES. Maintain after school club coaches. Access new coaches for rugby linked to Newcastle Falcons to deliver scheme within KS2. – Coaches signed off over the summer by P.E. Coordinator. Build on the success of the taster session and recent competitions. This will allow children throughout school to access a range of sports over a sustained period of time that will engage their early development of key skills that will be used in sports as they move up the school. Target all the basic skills needed in personal development (agility, coordination, flexibility etc.) as identified in the National Curriculum. Allow children to assess their own progress as the coaching will take place over a full terms, coaches can identify progression. Allow school staff to work alongside a professional coach for a long period of time to up their own skills throughout the year. Provide superb CPD. Staff can support coaches to work with specific children who might require support or further development. The coach can identify G&T children. The coaches will feedback on development and skill gaps and also progress of each child. Increased emphasis on cross-curricular PE activities Discuss with staff opportunities to develop PE skills and general fitness throughout other aspects of the curriculum. To allow children to see PE as something they can do in a range of settings. Broaden the skills children are taught. Children are more active; therefore increase their level of concentration. Physical activity becomes routine, is not just part of the PE and playtimes. By having it during lesson time, all children engaged including less active. – P.E. Coordinator and office staff to coordinate. Monitor the numbers of children attending the after school clubs. Questionnaire to what type of sports children would be engaged with after school. Seek provision for outdoor after school clubs for summer term. Double gymnastics capacity with additional coach. Increase mixed boy and girl engagement across after school clubs especially in KS2. Provide long term skill development for children. Improve our club offer by linking them to outside coaches and teams. Support children in moving into clubs and open up popular clubs to more people. Provide sustainable clubs over the year to see progression, skill development and engage the children. Sainsbury’s 50% KS2 in school sport clubs. Intra / Inter School Sport Windy Nook already participates in as many Level 2 Inter School Sport events as Gateshead Average. Drive this year to raise Intra-School events including between classes in year groups with an event every term when a period of coaching culminates. Every summer children learn to lead in P.E. running activities and games with their year group. Maintain the engagement externally for all events with additional focus given to coaching key teams in school time. Give children a chance to lead, to demonstrate their skills and to decide how the lessons are organised and run. Use of the website; promote our intra school events online. Encourage children with all skills into different roles within sport and P.E. Discuss assessments of children for PE skills. Trial VEO assessments Teachers to provide a VEO of skills development over a term. Starter lesson and finish lesson, focussing on pupil development and ability. Accountability for progress. Pupil input to ensure that communication and recognition of skills are taught through PE Planning. Skills progression through school in key areas. Engagement of pupils and transfer of knowledge and skills within the lesson. Gateshead SSP free hours Staff completed questionnaire to identify areas of strengths and lack of confidence. GSSP to deliver training on gymnastics and how the progression of skills should run through the school. Coach to work with one key stage to deliver lessons and up-skill members of staff. Raise awareness of skills. Engage staff in working alongside the coaches. Expose staff to greater range of skills. Staff identify G&T children throughout lesson. In 2017 the Department for Education (DfE) announced some changes to the Primary PE & Sport Premium Funding for 2017-18. The Government increased the Sports Premium Funding to all schools with more than 17 pupils to, a £16000 lump sum with an extra £10 per pupil in Years 1 – 6. The premium must be spent by schools on making additional and sustainable improvements to the provision of PE and sport for the benefit of all pupils to encourage the development of healthy, active lifestyles. We are fortunate to have access to Gateshead School Sports Partnership’s extensive provision and we ensure that the children participate in as many events as possible. Our school teams are very successful and we have a number of children in school competing at a very high level. Participation in a range of sports and enjoying physical activity is very important to us. Our newsletters and Twitter feed will provide an indication of what we have been up to recently. Windy Nook Primary School will ensure sustainability of Sports Premium Funding through links with: Schools Sports Partnership; Thomas Hepburn Academy; Leam Rangers FC; External coaches and Continued CPD. Please note – external coaches are used for after school clubs as well. In line with Ofsted recommendations, published October 2017, our Sport Premium Funding for 2017-18 is to be spent addressing improvements in each of the following 5 key indicators. Increase the engagement of all pupils in regular physical activity – the Chief Medical Officer guidelines recommend that all children and young people aged 5-18 engage in at least 60 minutes go physical activity a day, of which 30 minutes should be in school. For the academic year 2017/2018 our Sport Premium Grant Allocation is approximately £18,500. This year school will receive approximately £18,500 to invest in the provision and promotion of sport, activity and healthy lifestyles across the school. Ofsted recommendations are that investment should “impact on increasing participation, promoting health and wellbeing and improving performance of all children and groups” and these are coloured according to the area of impact we are aiming to improve. (*1 free half term block of sports coaching is included in this price for free). Access to all of the Gateshead interschool competitions, activity days, staff development and coaching days, workshops, conferences and resources / staffing. (Competition entry and most CPD for staff are free through Premium Membership). Includes £150 for playground buddy training. Indoor Athletics, basketball, football – boys and girls, hockey, Year 1 / 2 multi skills, Dance festival, Year 6 Go Run for Fun, Athletics festival, Year 3/4 Quadkids and Cricket within the Thomas Hepburn Cluster and Gateshead. We gained Gold School Games Award. Year 1-6. Participation in new form of dancing linked to RE. Whole school workshop was a success with children learning new forms of dance and music. Year 6 showcased this style of dance in the annual Dance Festival at The Sage, Gateshead. Linked to RE curriculum with discussions in lessons around the aspect of dance within worship. iPad Apps £100 Children to monitor their progress, all children can annotate and discuss improvements that have been made. Effective assessment tool for teachers. Videos accessible to all teachers to be part of weekly PE lessons. Increase cardio vascular activities for children, increasing heart rate and fitness levels. Licence was not compliant with PE funding, although HIIT style workouts are being used as part of the warm up for PE lessons. This has begun to increase children’s level of fitness and stamina in cardio activities. This year, one PE lesson for each half term will be focussed on activities designed to increase the heart-rate and stamina when exercising. Licence for the full year that meets PE objectives. Teachers to work with a structured format that is consistent throughout school. Online material is easy to access and adaptable to skills and number of weeks each activity is running. Scheme of work is working well and teachers are delivering a wider number of sports within school. Feedback from planning is easy to use and models the activities well. This shows good consistency across planning and delivery of lessons. Mid-term plans are linked directly to the National Curriculum and follow more closely the National Governing Body for Sport (NGB) that feeds into the Sainsbury’s School Awards. Golden time to provide extra opportunities for participation in PE e.g. karate, running club. Support children moving into clubs outside of school. Encourage Gifted and talented children to join outside clubs. Gold school Games Award achieved. Playground equipment £7,500 Cover costs for new or replacement equipment. Creating an active playground. More equipment was purchased for playtime which has seen more children become active during recreation times. Training for lunchtime staff was delivered to support this. Basketball nets, indoor athletics and tag rugby equipment was purchased to develop skills in those areas and take part in inter and intra tournaments and festivals. Healthy Schools £550 Raise awareness and accountability for children’s diet and living an active and healthy life. Reception classes completed a project related to teeth. Visit from a dentist and purchase of tooth brushes and paste. Awareness of healthy eating and the impact of food on our body are taught throughout school. Snack shop within school is providing healthier snacks for children. Children invited to make healthy snacks to sell, providing cooking skills they can use at home. Transport £1,500 Coach travel for children to attend events within school time. Increased number of participated events outside Thomas Hepburn cluster shows children within the school have qualified for more council and regional competitions. In addition to attending events outside of the Gateshead SSP programme to broaden their experience with other sports and competing with other schools across the region. (*1 free half term block of sports coaching is included in this price for free). Access to all of the Gateshead interschool competitions, activity days, staff development and coaching days, workshops, conferences and resources / staffing. (Competition entry and most CPD for staff is free through Premium Membership). Includes £150 for playground buddy training. Accessing LA sporting expertise and sporting events through purchase of Gateshead SLA Widen and develop opportunities for pupils to participate in sporting events at Thomas Hepburn Cluster and in Gateshead. Children has access to many sporting festivals in the Gateshead area and beyond. Parental involvement through supporting their child at competitive events . Indoor Athletics, basketball, netball, football – boys and girls, hockey, Year 1 / 2 multi skills, Dance festival, Year 6 Go Run for Fun, Year 3/4 Quadkids and Cricket. within the Thomas Hepburn Cluster and Gateshead. Increased number of children participating in intra and inter school sports competitions. Training opportunities through CPD on delivering a range of sporting activities Children will access healthier lifestyle opportunities and benefit from more exercise. Their overall health and fitness will improve. Active Breakfast club was set up encouraging healthier lifestyles. Change for life club set up for a set of Year 3/4 children. Staff sent on CPD when needed. Coaches worked alongside teachers. All staff Improve the skills base for all teachers who work with the coaches. Widen and develop opportunities for pupils to participate in differing sporting events so that the proportion of children taking part in sporting activities remains above 50%. Children see staff as good role models and are inspired by a range of sporting opportunities. Daily sports club including Funfit,, hoopstarz, football, dance, judo, basketball, hockey. athletics and cricket. 60% of KS2 children attending a PE related club. Run clubs throughout the year. 30 Sporting T-shirts with the Windy Nook logo on sponsored and donated to us by Heel and Toe Children’s charity. 30 Sporting Hoodies purchased with school logo on them. All sporting teams wore these ro sporting events. Greater team spirit and pride in belonging to the school team. PTFA Teams will be proud to be part of Windy Nook Primary and will show greater enthusiasm and team work. Accessing LA sporting expertise and sporting events through purchase of Gateshead SLA Widen and develop opportunities for pupils to participate in sporting events at Thomas Hepburn Cluster and in Gateshead. Children currently access many sporting festivals (dance, gymnastics, cricket. rugby, basketball) and they and their parents relish the challenge and the involvement. A wider variety (e.g archery, fencing, judo etc) provided through an “economies of scale” exercise will allow this. Rowing, Indoor Athletics, basketball, football – boys and girls, Year 1 / 2 multi skills, Dance festival, Year 6 Go Run for Fun, Athletics festival, Year 3/4 Quadkids, Cricket and rounders. within the Thomas Hepburn Cluster and Gateshead. Destination Judo did taster sessions with all year groups. 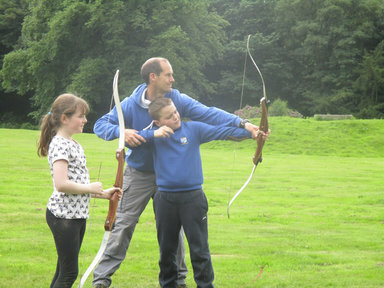 Year 5 have also have opportunities to do archery, problem solving and orienteering. Year 6 Kingswood Trip and running or Go Run for Fun. PE Leader and Office staff to provide admin. Increase breadth of sporting opportunities in after school for all pupils. Widen and develop opportunities for pupils to participate in differing sporting events. Children will access healthier lifestyle opportunities and benefit from more exercise. Their overall health and fitness will improve. Daily sports club including Funfit,, hoopstarz, football, dance, judo karate, basketball, athletics, Groove and Glow. 61% of KS2 children attending a PE related club. Sept2015- July 201 School staff and admin team. Increase breadth of sporting opportunities after school for all pupils. Teachers and coaches to provide after school clubs to different year groups over the academic year e.g. Groove and Glow, ‘Change 4 Life’, Active Breakfast Club, Football Club, Athletics Club, Dance Club Children see staff as good role models and are inspired by a range of opportunities.